Posted in home, singapore	| Tagged home, moving, singapore	| Enter your password to view comments. Remember my amazing organizer friend, Teresa? I’ve written about her before. And again. And again. And sadly, yesterday was my final session with her (at least for now) – because my house is finally – FINALLY! – all organized. We started off by tackling the kitchen, which remains the longest and most complicated project we had. We moved on to the bedroom, where we went through our insane bookshelf o’ crap, and organized a “bonus” bookcase in the living room as well. The third visit was spent in the closets – mine and his – completely revamping the way we “do business” in those spaces. In the fifth and final visit, we hit the guest closet, bathroom, and laundry room. 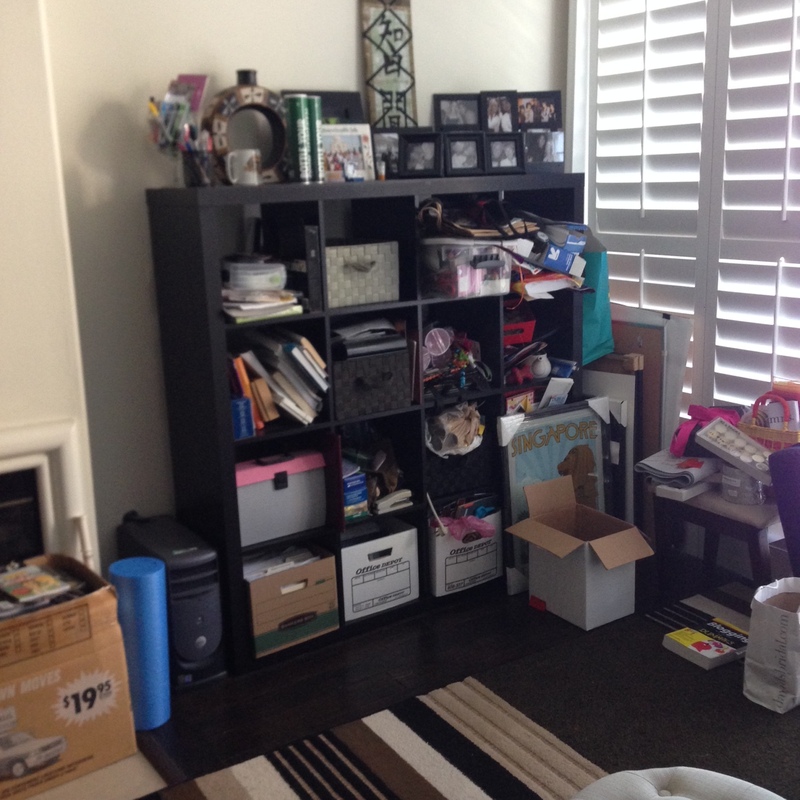 A full 24 hours (total) spent organizing my house, and what do I have to show for it? Clean, neatly presented spaces with functional stations, ample storage (we have room to grow in nearly every space), and a feeling of contentment and peace you can only achieve by coming home to – and maintaining – an organized home. So what did I learn in our final lesson? First, she really hit home the concept of making “stations” for things we use regularly – in this closet, you’ll see our “supplies” station for paper towels and TP, our easy in/out st ation for the Amazon Fresh bags (since those are constantly taken out and replaced), and a red bin that holds miscellaneous sports equipment (now contained and boxed so it’s not lying out everywhere). Everything is visible, so we know when it’s time to restock, but also accessible without having to go in a drawer or box. I should probably mention at this point that I forgot to take “before” pics on this particular visit – which shows you how much fun we were having drinking coffee and organizing to jolly Christmas music. But had you seen those pictures, you would’ve seen a gigantic wire rack in the guest bathroom, taking up about half the space in there and containing basically nothing but towels and a few guest toiletries. 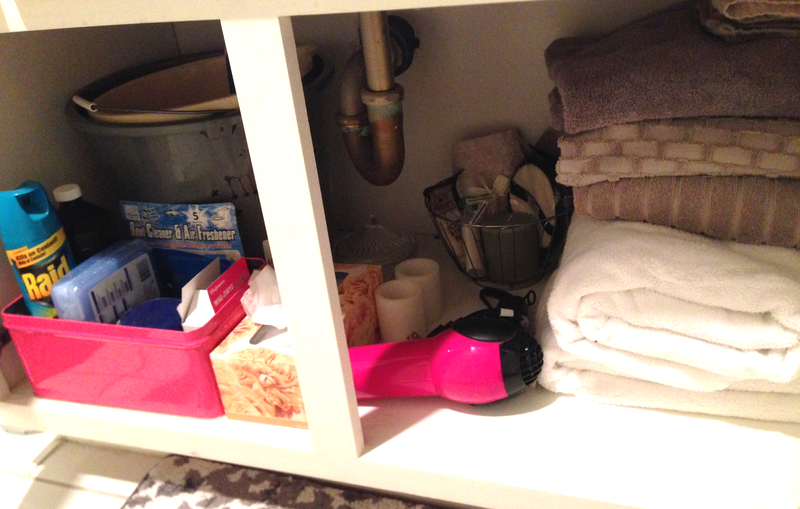 By cleaning out some space under the sink, we were able to get ALL of our guest towels and accouterments placed there, eliminating the need for an outside rack and making the entire space seem neater, cleaner, and larger. But worry not, wire rack fans: Teresa is a huge proponent (and master) of repurposing useful storage/household items – so we took that rack right over to where it was needed – the bar! – and created a stacking system for our empty growlers, bar trays, towels, and mixers. This freed up almost an entire person-size area behind the bar (you know, so someone could actually tend said bar) and made it look even more professional and functional, which I love, since I do have a huge bar in the middle of the living room. And finally – not to be forgotten – our little laundry room. 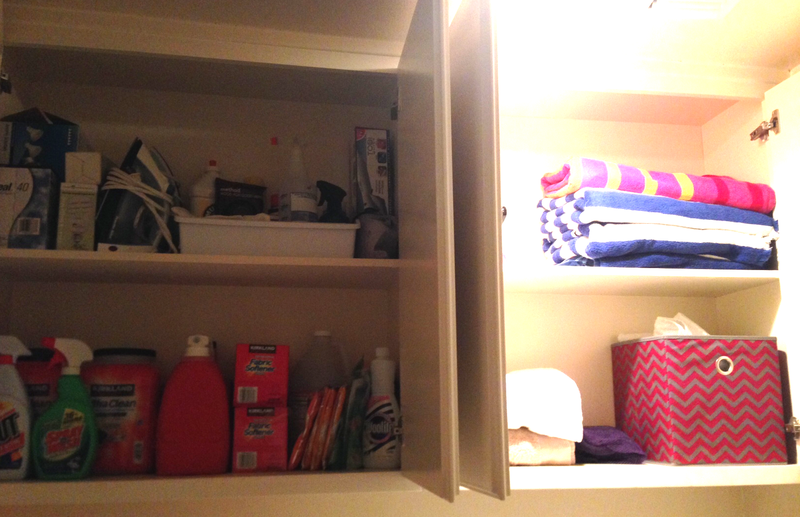 It was noted that we were barely using the (massive) cabinets above the washer and dryer, yet we were cramming towels and other cleaning products under the guest bathroom sink (which, as you’ll note above, is now a minimalist haven of the bare necessities). We were able to split up the cabinet areas into “laundry supplies” (over the washer) and cleaning supplies/spare towels (over the dryer) – meaning nothing is sitting on top of the washer/dryer anymore, the space itself is clear and open, and we will never be stuck looking for a dust rag again (they’re all contained in that cute little chevron bin, rather than a crappy pile of stained and dirty rags). A place for everything and everything in its place. Nothing in your house should be put there at random – be intentional with where you store things, don’t let piles build up simply out of convenience, and make sure to always return items to their proper place as quickly as possible to maintain the order. Use storage wisely. Storage is not a place for junk and crap; rather, storage is a beautiful empty zone where you can put things you don’t want visibily cluttering up your home. 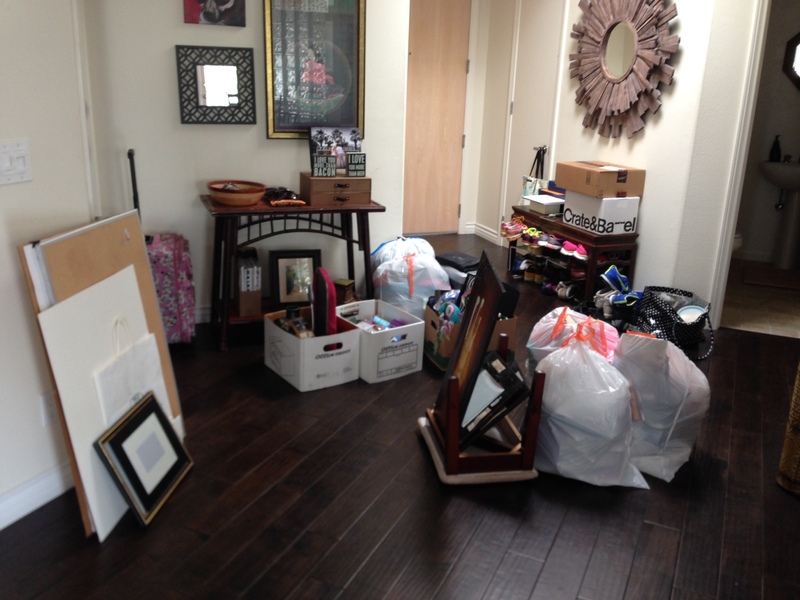 “Storage” is not a synonym for “donation pile” or “garbage,” and the latter two should be dealt with appropriately. Repurpose, repurpose, repurpose. I have a cookie tin full of coffee supplies. I have two desk organizers on my bathroom countertop, and I have a mudroom shelf holding our towels. Don’t get hung up on what pieces are “supposed” to be used for or what room they’re designed for; use the items you already have in the house in ways that are outside the box and you’ll find that even ugly things can be beautiful when used for a noble purpose (i.e., organization). 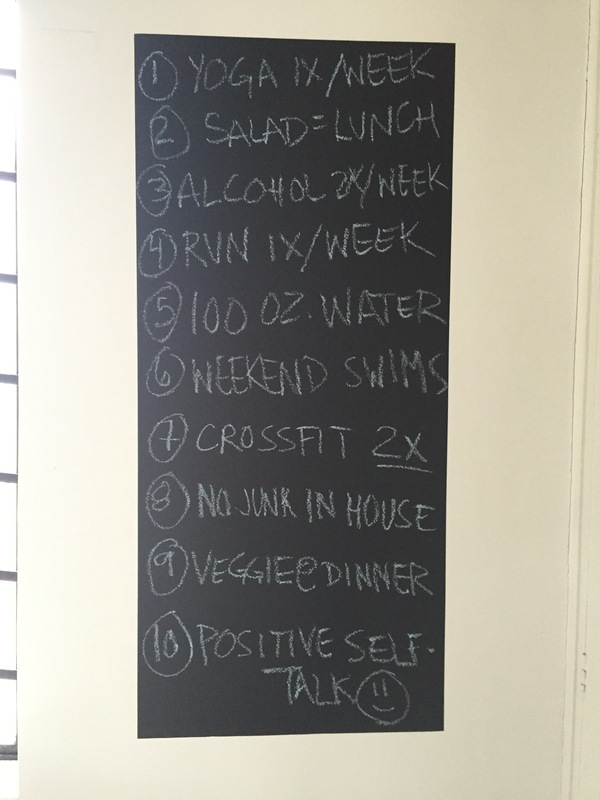 Make a to-do list and don’t move on until it’s done. Each week, Teresa would leave me with a checklist of items for each area (get over-the-door hooks, organize the coats by length, put dresses in a garment bag) and we wouldn’t move on to the next room/area until we had completely finished the one before. No projects went half-assed or sorta-done. It took more time (and at times, more money – those velvet hangers ain’t cheap, people), but I was so much happier. Let utility be your guide. Do you keep your coffee maker in one corner of the kitchen? Then your mugs, creamers, and filters should be there also. Do you wash your clothes in the laundry room but fold them in the bedroom? Keep a small table in your bedroom so you don’t have to throw clothes on the bed. Think about your processes – logically and step-by-step – and organize your home to follow those steps as closely as possible. It might not make sense to someone else, but if it works for you, it doesn’t matter – this is your home, after all! Don’t forget – my wonderful organizing pro (and friend!) 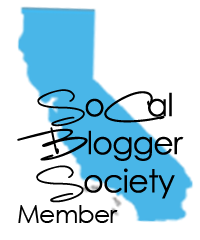 is SoCal local – she works all over the L.A. area – so if you want her info, just send me a message on my FB page and I’ll put you in touch! 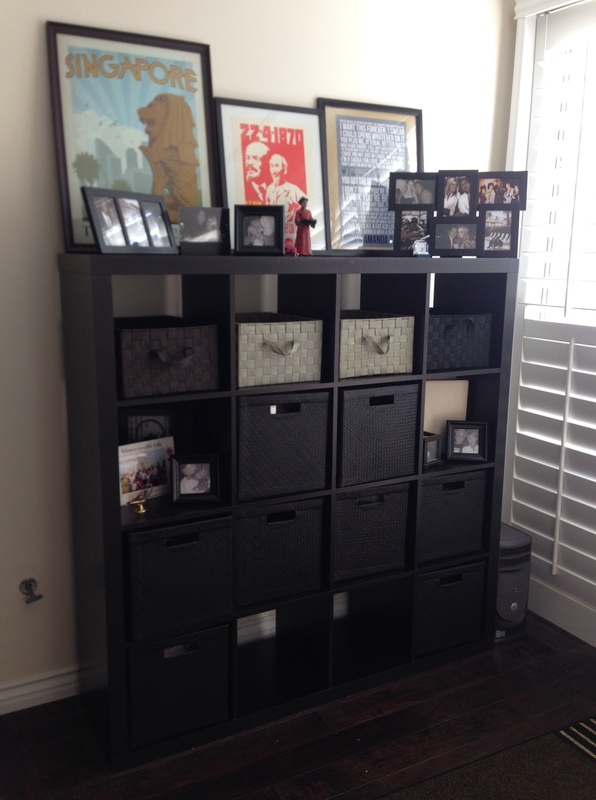 Have you ever reorganized your home? What are your favorite cleaning/organizing tips? Guys, remember when I had a professional organizer come to my house last week? Well, turns out I’m becoming a regular customer. Having Teresa in my house is like working through a zen meditation with a mindfulness master; when she leaves you feel calmer, more in control, and somehow like a better person than before. That said, our project yesterday was a toughie (not the toughest to come – but perhaps toughest so far). We worked on my bedroom shelving unit and living room bookcase. Simple-sounding, perhaps, but you should know this: my (dear, lovely) fiance is a bit of a packrat, and moreover, has a hard time letting go of things (even objectively stupid things, like a cigarette-shaped figurine smoking an even tinier cigarette. Nope, not kidding.). Add to that the fact that those stupid IKEA Expedit shelving units are a hoarder’s dream, with nooks and crannies aplenty just taunting you, begging you to cram your crap deep in its dark, shadowy shelves, never to be seen or dealt with again. Until yesterday. We started with a 4×4 (16 “squares”) shelving unit, which seems like a lot of room until you realize it was spilling over onto our fireplace, in front of the unit, and even squished in the little side-panel area between the shelf and patio doors. We gotta take it all out. And she was right. Because the first step in organizing a unit like this, where there are sensitive documents among sentimental collectibles amid actual trash, is to see exactly what you’ve got and create functional piles. So we did. We went cube by cube, throwing away trash as necessary and organizing into distinct piles: office, party & wrapping, documents, cards & stationery, tools/hardware, and gifts. Once the piles were made (and the trash ousted), we moved anything that didn’t fit in a separate area (for example, large pieces of framed artwork that weren’t yet hanging on a wall, stacks of misplaced books, very old tax and important documents) into the living room as the go-elsewhere pile – knowing full well that we had to put those things into their proper “elsewheres” before the project was over. Don’t be afraid to create a temporary messy pile. These things still had a nice, organized home in the end – it just wasn’t my cube shelf. Finally, we organized the piles into workable little “stations” using cube-sized sturdy baskets, and placed the stations back into the cube where they could be easily accessed, but not visible. Now I know when I need to wrap a gift, I have wrap, tape, ribbons, and cards all within easy reach – one little basket – yet I don’t have to see those items spilling out over my bookcase. Finally, we addressed the go-elsewhere pile, reorganized the living room bookcase (a crazy mess in itself – we got rid of 4 boxes of books plus have some room left over for new acquisitions) and made a plan for next time – this way, I can prep my Container Store and Overstock.com runs to maximize the time we need for our next big project (da-da-daaaa): THE CLOSETS. God help me. What is on your shopping list for your well-organized home? What tips do you use to stay tidy around the house?